THERAPEUTIC PUTTY. Providing a multi-sensory therapeutic experience with touch and smell that will increase focus, this putty provides resistance when worked to build hand muscles, arm muscles, dexterity and motor skills. PROMOTES CALM AND FOCUS. As children twist, mold and squeeze the scented putty, it helps children remain calm and attentive during schoolwork, transitions and other situations where focus and calm is needed. PORTABLE DESIGN. This top quality professional putty comes packaged in a 3-ounce storage tin for easy transport. You can easily fit it inside a backpack or purse, making it perfect for use at home, school or anywhere else you need to go. AROMATHERAPY. 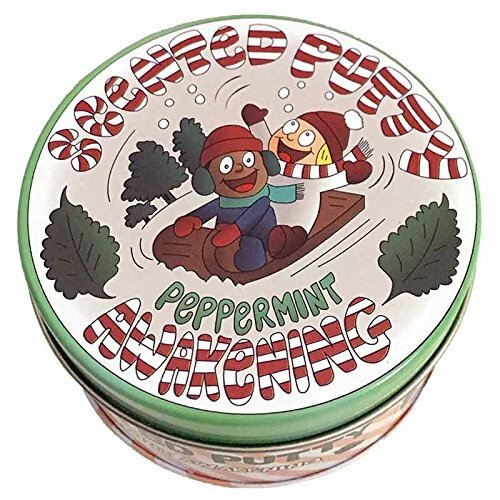 This therapeutic putty is helpful for individuals who exhibit sleepiness or lack focus. Infused with pure peppermint essential oil to awaken the senses, it can help increase focus and add fun to heavy hand work. SAFE TO USE. The Fun and Function Putty is CPSIA compliant and safety tested for children ages 4 and up. Made of silicone in a green color, it's also gluten, casein, latex and soy free to ensure that it doesn't irritate allergies.